Here you will find Liveries and Repaints that I have released to the public, feel free to use these are you wish. 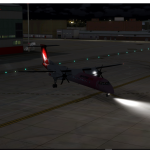 description=Majestic Software Dash-8 Q400 Qantas Link VH-QOH by Robert Graham. description=Majestic Software Dash-8 Q400 Qantas Link VH-QOI by robert Graham.